I have to admit that I was a little hesitant when I realized this was a sci-fi book. I was pleasantly surprised. This book drew me in from the very beginning. This book is focused on the mystery/thriller part of the story, and the sci-fi part was just background. Well, not really background because the eyes and eye surgery are integral to the story. I just did not feel overloaded with the sci-fi perspective. 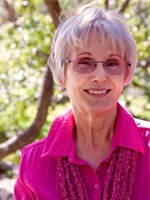 Kathy DiSanto does a wonderful job of drawing you in, and keeping you on the edge of your seat. Once I picked up this book, I could not put the book down. It has been awhile since I've read a good mystery. I was left wanting more with this one. I loved the characters, and I hope to see them in future books. Hopefully, this will turn into a series of books. I'm not sure if she is planning any future books, but I really hope she does. Kathy DiSanto does a great job of interweaving different genres, sci-fi, mystery, thriller, crime, and eve a little romance, and supernatural abilities. I love that she deals with the change in senses. I've always heard about how when you lose one sense, your other senses are heightened. She has a knack for bringing this book to life and demonstrating these abilities. I give this book 5 stars. I think anyone would love this book, even those that do not care for sci-fi books. I don't consider this a sci-fi book; I consider it a good book. Sounds like a fab read, haven't read this one myself yet !! Good morning from Texas, Kelli! 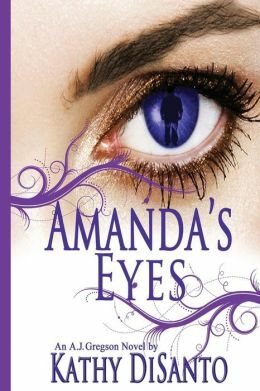 I can't thank you enough for taking the time to read and review AMANDA'S EYES. So excited to hear you enjoyed the book!